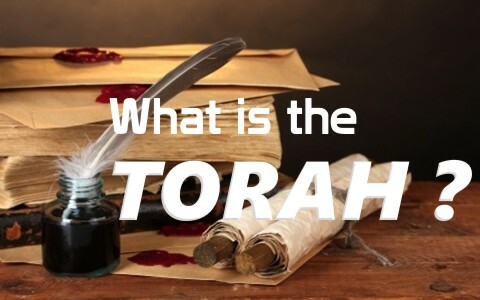 What is the Torah? What is its significance? Why should we know what it is? We can divide the Old Testament into three categories to simplify it; the Law, the Prophets, and the Wisdom Literature, however many of the Jews consider the Wisdom Literature of Job, Psalms, Proverbs, and Ecclesiastes, as being part of the Law. This shouldn’t be surprising since the longest chapter in the Bible is Psalm 119 and it’s focused solely on the Law of God. What the psalmist and Solomon wrote about in their literature included a lot about the Law; things like breaking the law breaks us, and why God’s Law is good, or as the Apostle Paul wrote, “the law is holy, and the commandment is holy and righteous and good” (Rom 7:12). The very definition of sin is tied to breaking God’s Law (1st John 3:4), so it’s not the Law that’s the problem, it’s the lawbreakers, like you and me, and every other person who has ever lived, save for Jesus Christ Who is both God and Man, Who was and is sinless. If not for the Law, we wouldn’t even know what sin is (Rom 7:7), so the Law is good, and it is meant for our good. The problem is, we just can’t keep it, but that’s what makes God’s grace even more amazing (Eph 2:8-9). Before we mention the Torah, I want to mention the Pentateuch. The word Pentateuch comes from the Greek word “pentáteucho,” which literally means “five-fold volume,” and patterned upon the what the Jews designate as “the five-fifths of the law” and that’s just what it is. Of course, Genesis is quite different from Deuteronomy, but that doesn’t mean there weren’t laws in the Book of Genesis. Cain suffered banishment due to his murder of Abel. Cain knew that murder was wrong, and even today, we have no excuse to deny God’s existence or indiscriminately break His Law (Rom 1:20). Just think about your city or state. What would it be like living without law? It’d be total chaos; survival of the fittest; the ones with the guns win! Humanity has always had some forms of law but when there are laws, there are always lawbreakers, and so the Law of God had to be established first before society could begin to function in the way God intended it. God gave the Ten Commandments to Israel so that they could live a longer life and prosper (Ex 20). It wasn’t a set of laws to “don’t do this” as much as “don’t do this and hurt yourself.” It’s like a “Hot Burner” light on a stove…it serves as a warning. It’s not trying to restrict your freedom but save you from pain. The Muslims hold up the Torah as inspired by Allah, but not the One, True God and they stop short of endorsing the rest of the Bible. They certainly have a different Jesus and God than the Ones in the Bible, but even so, the Qur’an commands Muslims to believe in the revelations given to “all of God’s prophets,” and even though they consider Jesus a prophet, that’s their limitation to His position before God. Of course they do not believe He is God, just as most Jews didn’t in His day. Muslims do believe that the Torah was given by God to Moses (Musa, to them), so both the Muslims and Jews hold the Torah in deep reverence and respect. Scripture acknowledges that “Moses wrote this law and gave it to the priests, the sons of Levi, who carried the ark of the covenant of the Lord, and to all the elders of Israel” (Deut 31:9), so “Moses had finished writing the words of this law in a book to the very end, Moses commanded the Levites who carried the ark of the covenant of the Lord, ‘Take this Book of the Law and put it by the side of the ark of the covenant of the Lord your God, that it may be there for a witness against you’” (Deut 31:24-26). Notice that it is a proper noun or capitalized, so it’s not just a book, but “this Book” in which Moses is referred to, and this surely includes Deuteronomy, Numbers, Leviticus, Exodus, and of course, Genesis. The other books of the Torah would make no sense without Genesis, so Israel saw the Torah or the Law as God-breathed Scripture and held it in high regard and with holy reverence. The Torah in Hebrew means “instructions” or “teaching” and has commonly been called the Book of the Law, which it is, since when God speaks, it is law, and what He commands, He demands, so whatever is written in the first five books of the Bible, was directed toward Israel, however, the Apostle Paul writes “For whatever was written in former days was written for our instruction, that through endurance and through the encouragement of the Scriptures we might have hope” (Rom 15:4), and “these things happened to them as an example, but they were written down for our instruction, on whom the end of the ages has come” (1st Cor 10:11), so these books of the Bible are just as relevant for us today as they were to those to whom it was originally written. The Torah is much more than the Ten Commandments. It gives laws that are intended for the benefit of society (i.e. Lev 4, 7, 10, 14). These laws contained laws that concerned sanitation, commanded quarantines, and kept crime at a minimum. In most ways, these laws were thousands of years ahead of the rest of mankind and if these had been heeded, many who died over the centuries would have been spared. Where there is no law, there is no true liberty, so the laws of God contained in the Torah or Old Testament, were intended to bless Israel and mankind and not to restrict them or act as prohibiting agents. If you have read the Old Testament, you have seen by now that the law is not really a bad thing….except when you try to establish a righteousness by the law. That’s when trying to keep the law can kill you because we are saved by grace alone and not by works (Eph 2:8-9). If it were works, then we couldn’t call it grace anymore but entitlement, but as holy as God is and as sinful as we are, no amount of works in a billion lifetimes could ever reconcile us back to God. It took Jesus’ sinless, law-keeping life, His death, and His resurrection, to take the law’s death penalty from off of our backs. We had God’s wrath abiding on us until the moment we trusted in Christ. It was either we pay for our sins, meaning an endless payment in hell, or accept Jesus Who would pay for our sins, and indeed He has for all who have been brought to repentance and faith in Christ. What the Law couldn’t do, He did!